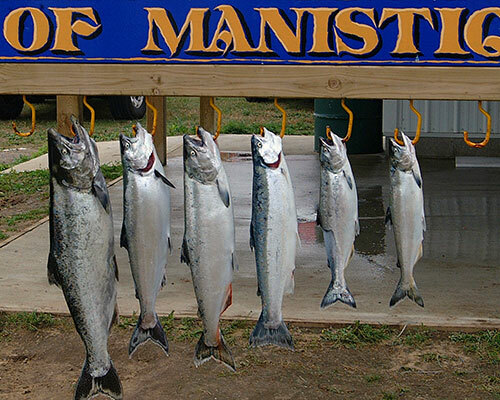 (All pre-derby contestant boats and all on-board personnel must be registered for the Manistique Fishing Derby.) Derby entry ticket price: $30, per person. 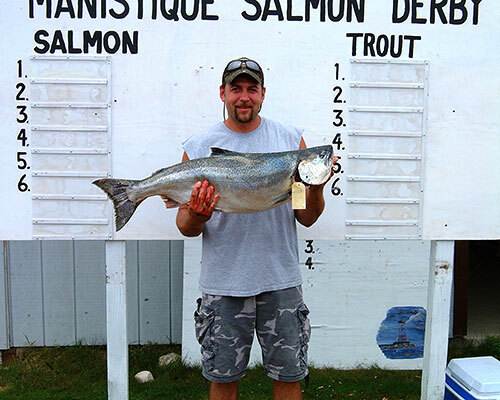 Prizes are based on the greatest weight, first, and, in case of a tie, length, of any indigenous salmon or trout caught in Lake Michigan during current Derby fishing hours, by any registered contestant with a legitimate entry ticket, fishing from a registered boat. 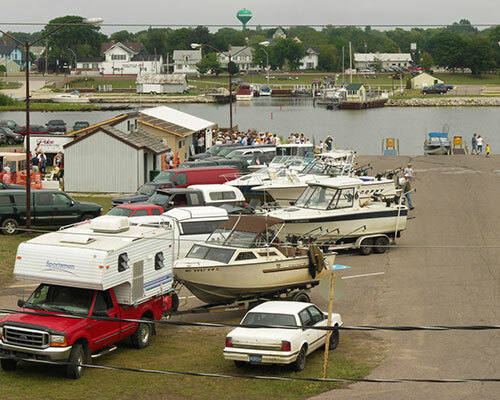 Numerous "door prizes" during Derby. Registrants must be present to win and collect prizes. 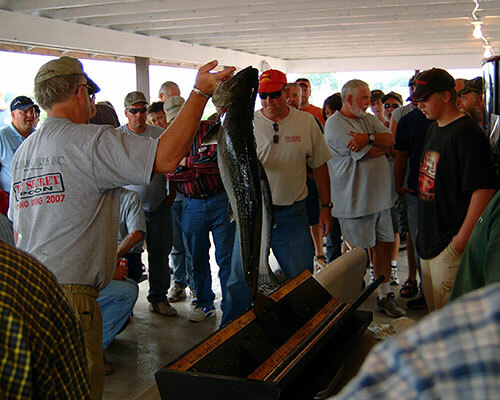 Each paid entrant is entitled to only one prize in each division. 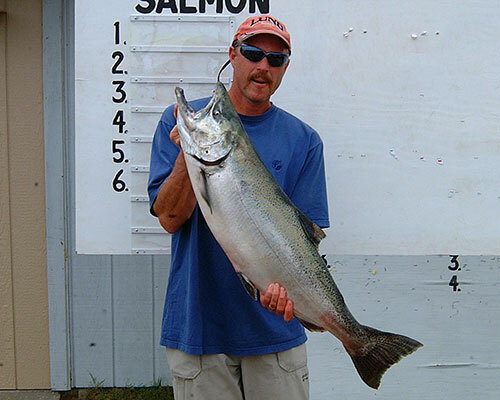 Photos on this page courtesy of the Pioneer Tribune. 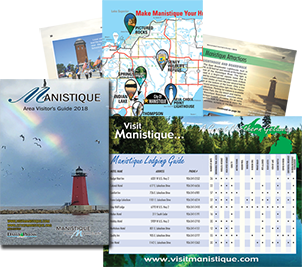 *If you choose to attend or participate in the Manistique Salmon Derby, you acknowledge the possibility of danger, and choose to take your chances with the consequences of any element of danger that may exist. 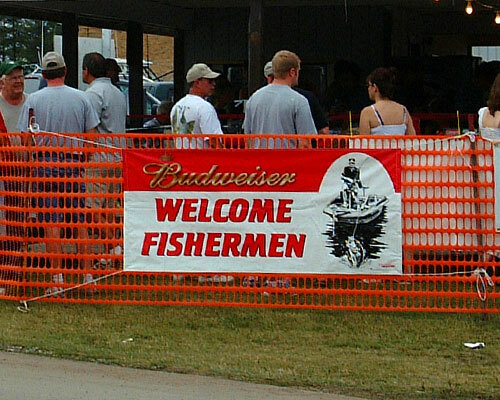 All entities, affiliated with the creation, administration and support of the Manistique Salmon Derby, and associated activities, disavow any responsibility or liability for any injurious consequence that may arise from anyone's choice to attend or participate in the Manistique Salmon Derby, and its associated activities.